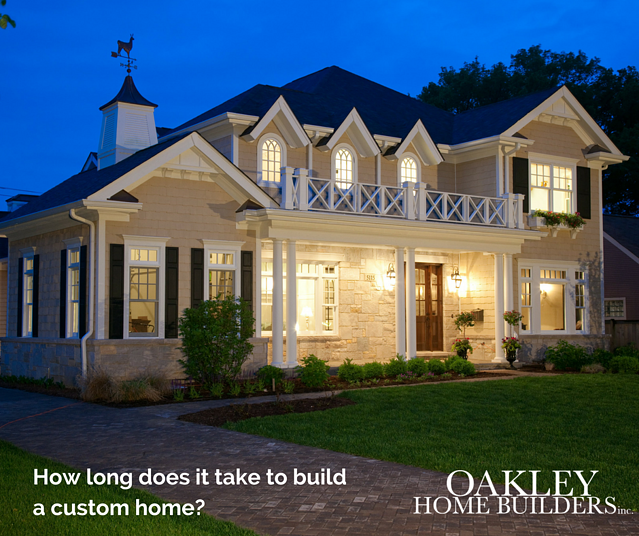 Wondering how long it takes to build a custom home? The majority of our clients are first-timers when it comes to building a home. When they first call us, they are understandably full of questions. Custom home building is something that you really don't have to know much about until you start considering it as an option - then you want to know everything given how big of a decision it is. 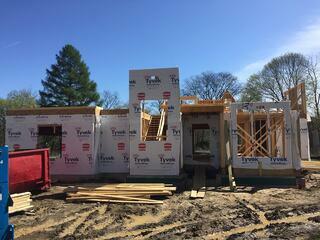 What it the general timing it takes to build a new construction home with Oakley? MONTHS 1-6: Introductions & Property Search Let's get to know each other, shall we? After some initial calls, it's time to properly introduce ourselves and explain our approach to home building via an in person meeting. We will talk through your budget, timing goals, home wish list and understand what your ideal lot (size, location, price) looks like. This information on your wish list and ideal lot helps us to educate you as early on as possible about options and considerations for your budget - leading to detailed specifications on what your home build would include. We can help you search for your perfect lot or offer input on any that you find. This timing can be condensed as many clients of ours find lots they like fairly quickly. Note: Some clients come to us with a property that they already own. That's great! This allows you to fast forward to the next step much sooner. MONTHS 7-8: Architectural Plans Planning your home starts to feel real here! Now that we know where you are building and have developed your detailed specifications we can begin engineering, floorplans and exterior elevation plans. This step is surprisingly simple and streamlined; our in-house architect, Jen, works with you to develop your perfect plans that are aligned with your budget. We make sure to allow plenty of time for you to digest these plans while still keeping the timeline moving. Note: Some clients have done architectural plans prior to connecting with us. We're happy to partner with your architect on any plans. MONTHS 9-10: Permits & Lending Admittedly this is not the most glamorous part of the process. But it's necessary. We use our deep understanding of Village requirements to your advantage to keep permit approval streamlined. While we're doing that, you can be finalizing any new construction lending that you've lined up. Once we have a green light on both of these, it's time to break ground! MONTHS 11-18: Building Your Dream Home Typically we plan for approximately 8 months for the actual build. Once we have the specifics of your plans we can pinpoint that with better accuracy. And, when we break ground you're presented with a detailed, week-by-week schedule for the build with a move-in date provided. Our interior designer, Heather, will guide you through selections so you aren't lost in a sea of tile selections and paint choices. Your finished home will include everything down to landscaping, closet organization and lighting allowing you to just move in and start making it your home! 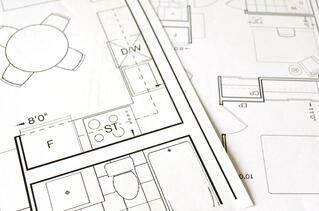 What other things are you hoping to learn about the custom home building process? Contact us with any questions or post your question below and inspire one of our future blog posts.